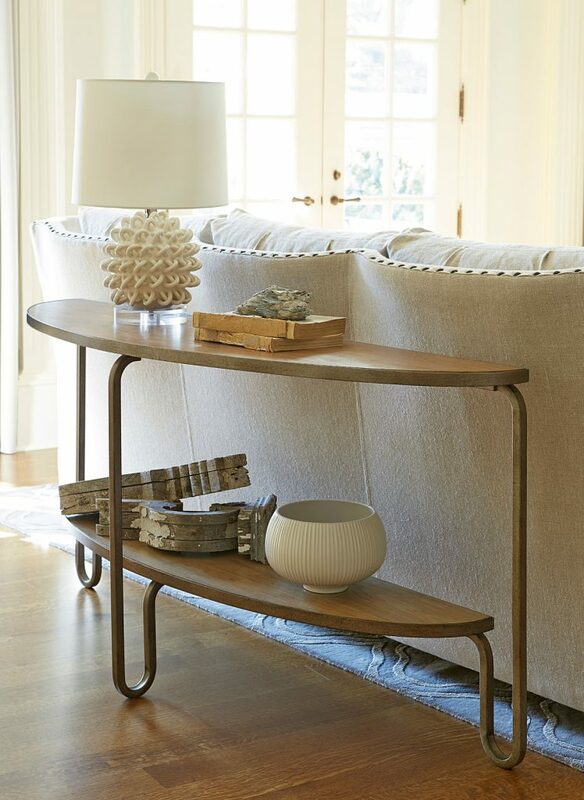 This contemporary console table features a demi-lune table top & bottom shelf. Crafted of hickory veneers & hardwood solids with an aged iron base & legs. Matching cocktail table also available.